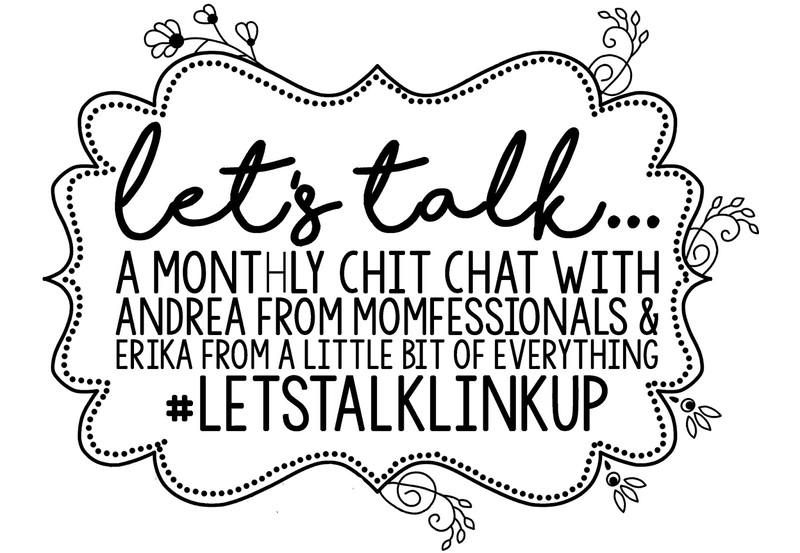 Linking up with Andrea and Erika for Let's Talk. Today's topic is School Days. 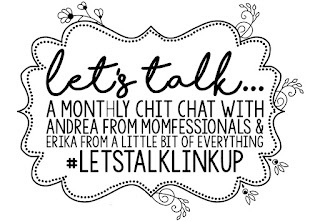 This is kind of weird for me because we are in the middle of summer, but in Texas where Andrea and Erika live, the kids actually head back to school very soon. I grew up in a small town, and there was only one choice for school. My elementary school had two buildings, the little blue one for the grades primary to two, and then the big yellow one for grades three to six. The yellow one was really old, I think we celebrated its 85th birthday when I was there, in the late 1980s. I found this old picture of it from its early days. It hadn't changed much when we were there, other than being surrounded by newer buildings. It still had the old bell up in the tower that we would ring on special occasions. There was one class for each grade, music, and a library. We didn't have a gym or a cafeteria. It has since been torn down. When I was grade six a new school was built and we all went there along with two other elementary schools in the area. Then there were three classes for each grade, a gym, a cafeteria with hot lunch, and a big field. 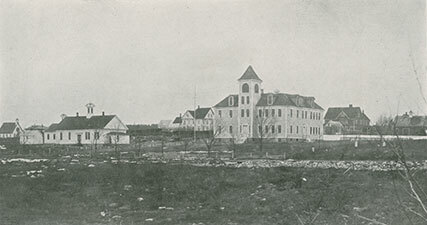 Our high school held grades seven to twelve. There were about 500 students in total; my graduating class had 60 people in it. I took French Immersion throughout high school so the people in my class remained about the same for the six years. In senior high (grades 10 to 12) we didn't take as many French classes so we had classes with lots of different people. The tore down the high school a few years after I graduated. 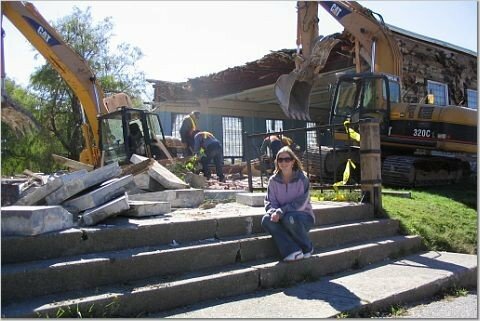 I happened to be home that weekend so this is me sitting on the steps, behind me is what's left of the gym. I wrote this post about high school last year. I went to two different universities. 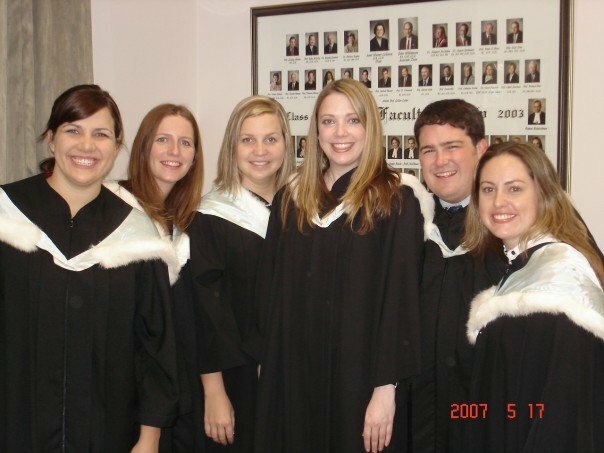 Dalhousie in Halifax, Nova Scotia, for my undergraduate degree in English and then the University of New Brunswick in Fredericton for my law degree. I made so many great friends at both places and really don't have much but fond memories for both schools. E started school last year and he got along well there. 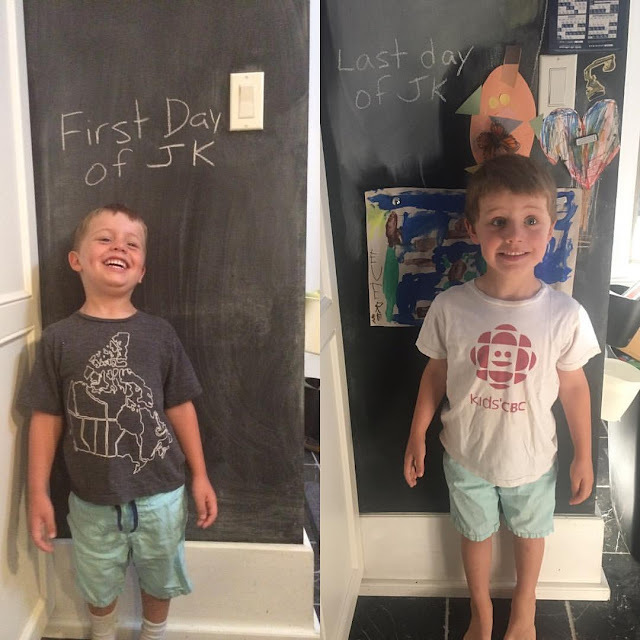 He is excited to go back and start French Immersion for Senior Kindergarten.